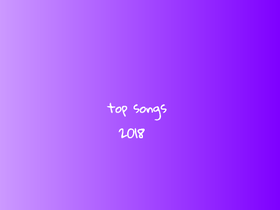 hello everyone my name is sakeenah i am 11 .
i am working on a playlist of the top songs of 2018!! !